Using the BredaBeds InLine Sofa is unbelievably easy! 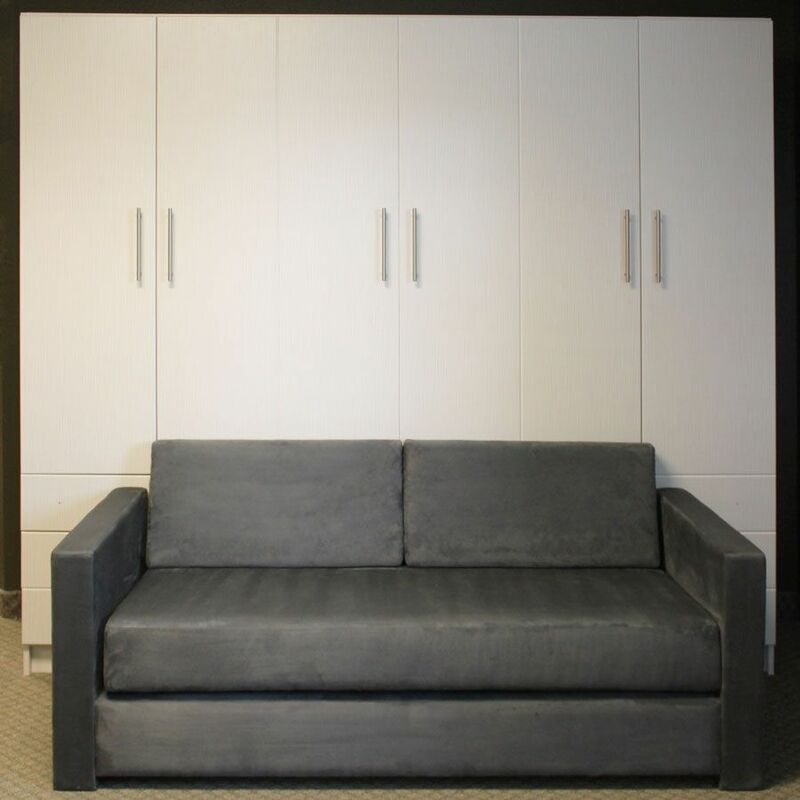 To access your Murphy Bed, just remove the three sofa cushions. 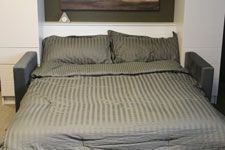 This allows the bed to fold down over the sofa frame. Easy, isn't it? The sofa’s arms stay in place, which creates a comfy feeling, when a bed is folded down. So, in case you're watching TV and feeling tired your bed is going to be right there for you, providing a great place to sleep and relax. We are in the process of designing a brand new line of beds that are specific to this unique sofa . This will add more options to our space saving line of Murphy Beds. The new murphy bed sofa combo line will combine maximum functionality and style. Our new BredaBeds InLine Sofa will be available in several versatile colors. You will be able to select the color of your bed and the sofa material. 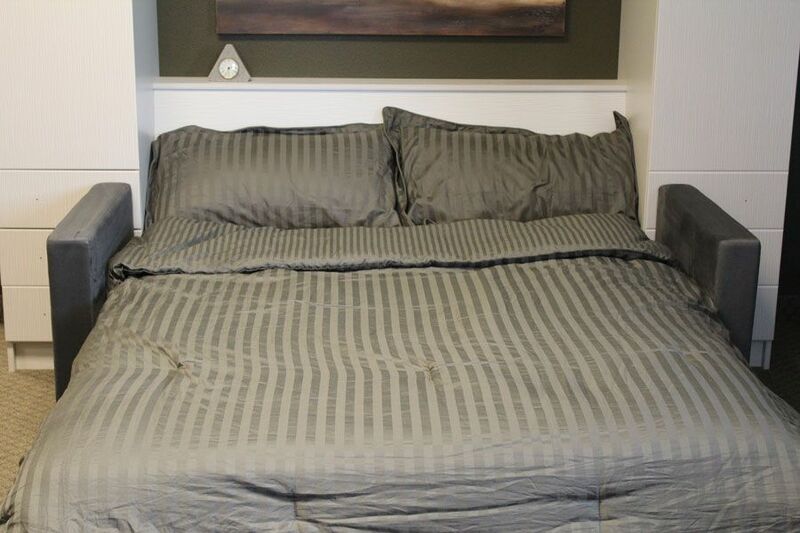 This allows your bed to reflect your style and your taste. We promise you are going to be as excited as we are about this great product! Elevate the functionality and design in your living space. It will redefine the entire concept of space-saving and multi-use furniture. You are not only expanding the functional options in your home, but you are also adding some stylish design and creativity to it. BredaBeds InLine Sofa will also be offered as a stand-alone product. Thus, the current owners of any BredaBeds Murphy Bed will be able to upgrade it with a stylish sofa, which will provide a great sitting area. No modifications are necessary. It will make your space usage even more efficient. Although, keep in mind, if you have an existing Murphy Bed with a side hutch or two, the sofa’s arms may interfere with the bottom portion. 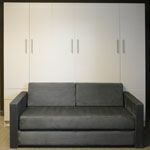 But, if you have a Murphy Bed without any side hutches, then the InLine Sofa will work just fine. Sounds exciting? You can inquire by phone or e-mail for more details. The new BredaBeds wall beds sofa combo line will be available in a few weeks. Feel free to contact us for pre-ordering or if you have any questions.